Mark Rubin is responsible for overall management of SPE. He works with the Board of Directors and senior staff to develop strategic and business plans and formulate the organization’s goals, objectives, policies, and programs. He also organizes and directs the global staff organization, which includes offices in Dallas, Houston, Kuala Lumpur, Dubai, London, and Moscow, to ensure the accomplishment of SPE’s mission. He was appointed executive director of SPE in August 2001. Prior to this appointment, he served as upstream general manager for the American Petroleum Institute (API) in Washington, D.C. He joined API in 1988 and held a series of positions working on federal regulatory and legislative matters as well as technical standards development. 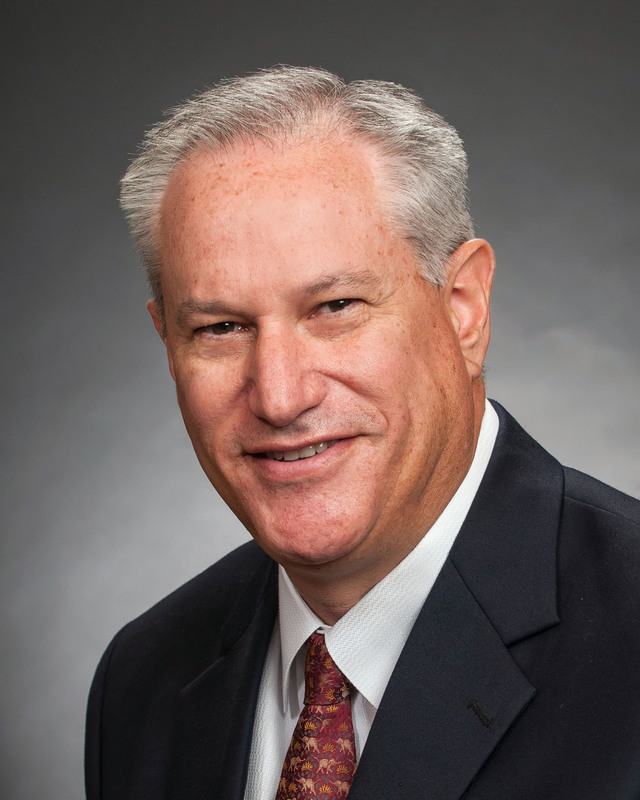 A member of SPE since 1979, Rubin held petroleum engineering positions for Unocal in Houston and east Texas from 1981 to 1987 and for Buttes Resources in Dallas 1987–88. Rubin is a member of the American Society of Association Executives and Council of Engineering and Scientific Society Executives. He has been a member of the National Petroleum Council, Interstate Oil and Gas Compact Commission, and International Association of Oil and Gas Producers. He earned a BS degree in petroleum engineering from Texas A&M University and an MBA from Southern Methodist University. Stephen Graham is responsible for SPE global operations including all conferences, exhibitions, forums, and workshops. He also is executive director for the Offshore Technology Conference. Prior to his appointment as chief operations officer, he served as managing director, Americas. Before joining SPE in 2001, Graham was division controller for Mentor Graphics, a software company. Before that, he worked for Atlantic Richfield Company (ARCO) for 19 years. He held several financial positions including assignments in China, Texas and California. Graham has an MBA from California State University and a BBA in accounting from Texas A&M University. He is a certified association executive and certified public accountant. Steve Byrne is responsible for global finances, including treasury and investment services and coordination of the audit and consolidated financial reporting of all global SPE legal entities. Before joining SPE, Byrne was controller for ThinkSpark Corporation, an Oracle database consulting firm, for 2½ years. Prior to ThinkSpark, he worked 16 years for ARCO where he held various financial and tax positions in US operations as well as the international division. He received his BBA in accounting and finance from Texas A&M University in 1983 and became a certified public accountant in 1986. Glenda Smith directs all SPE print and electronic publications, external and internal communications, public relations, and energy education. She joined SPE in 2002 and has previously served as senior manager, web content, and senior manager, technical publications. A member of SPE since 1990, Smith previously worked for the Oil & Gas Journal, ICF Resources, and the American Petroleum Institute. She is a member of the Council of Engineering and Scientific Society Executives, American Society of Association Executives, and the Society for Scholarly Publishing. She is the author of seven SPE papers. Smith has a BS in economics from the University of Tulsa and an MBA from George Mason University. John Boden joined SPE in 2014 and is responsible for SPE’s information technology (IT), member services, technical activities, and data governance programs. He works with executives and senior staff to streamline IT and member programs. Prior to SPE, Boden was vice president of product innovation and carrier relations at SaskTel, and CTO and SVP corporate development at Movius Interactive. Additionally, he held several other executive level roles leading innovation, strategy, R&D, process improvement, and business development in the telecommunications industry. Boden graduated from McMaster University in Hamilton, Ontario, Canada, with a B.Eng. degree in engineering physics. James Rawes is responsible for SPE’s global sales, marketing and business development. His responsibilities include sponsorship and exhibition sales for conferences and workshops, along with advertising sales, both print and digital. He also leads our global marketing and business development teams as we explore new partnerships, projects and topics to bring additional benefits to our members. Before joining SPE, Rawes was global head of channel management at the Association of Chartered Certified Accountants (ACCA) the world's most forward-thinking professional accountancy body. Prior to that, he was executive director for Europe, Middle East, and Africa at The Conference Board, a global independent business membership and research association working in the public interest. He has more than 15 years of international sales and marketing experience developing and implementing strategies across multiple industry sectors and territories. Rawes has lived and worked in Europe, the Middle East and Asia. Joe Healy is responsible for global human resources (HR) and facilities at SPE. He works closely with the leadership team to deliver an HR strategy that ensures continuous improvement in resourcing, learning and development, reward practices, relations, people data systems, and health and safety. Before joining SPE, Joe led HR functions for a number of international companies in a variety of sectors including travel, hospitality, technology, financial services, and non-profit. His most recent role was HR director for Victim Support, an independent charity for people affected by crime and traumatic events in England and Wales. Healy received a bachelor's degree in geography and economics from the London School of Economics, and a master's degree in urban and regional planning from the University of London. He has worked as a lecturer and teacher in the United Kingdom and Australia, and he is a Fellow of the Chartered Institute of Personnel and Development. Kimberly Richardson joined SPE in 2018. She is responsible for providing vision and leadership for enterprise IT initiatives and is also focused on optimizing the efficiency and performance of existing systems. She oversees technology operations and budgeting, system security, network connectivity, data backup and disaster recovery. Prior to SPE, Richardson was director of information technology for Pancon Corporation – an innovative manufacturer of electrical connectors and polymer capacitors. Before that, she worked in a number of IT leadership roles for Comcast. Richardson attended American InterContinental University and is a certified Scrum Master. Jane Boyce is responsible for membership activities, which includes membership development and retention, section and regional programs, and young member programs; technical and professional activities, which include technical sections, technical interest groups, certification, and awards; customer service; and the SPE Foundation. Boyce joined SPE in 1989 as manager, member services. She was also senior manager, member services. Before joining SPE, she held management positions with the American Institute of Banking in Dallas and Life Office Management Association in Atlanta. She has a BBA degree in management from the University of Oklahoma and is a member of the American Society of Association Executives and the Council of Engineering and Scientific Society Executives. John Donnelly is director of magazines and editor of the Journal of Petroleum Technology. His responsibilities include managing SPE's periodicals including JPT, Oil and Gas Facilities, The Way Ahead, and HSE Now. He has covered global oil and gas as an editor and writer for more than 20 years. Prior to being named JPT editor in 2001, he was senior editor, Americas, for the international oil publishing company Argus Media. He also served as business editor and assistant city editor for the Beaumont Enterprise newspaper. Donnelly received a BS degree in journalism, with highest honors, from The University of Texas at Austin. He is a member of the Council of Engineering and Scientific Society Executives. Leigh Ann Runyan is responsible for the management of all SPE events throughout the Americas including the Annual Technical Conference and Exhibition, the society’s annual meeting. Her responsibilities include Americas event and exhibit operations, registration services, sponsorships, and training courses. She also has responsibility for the Offshore Technology Conference (OTC) which has an attendance of 70,000-90,000 each year in Houston. Prior to SPE, Runyan was with the American Heart Association for 21 years where she held several positions in Meetings and Professional Education. Her last position before leaving AHA was vice president, Meetings. Her primary responsibility as vice president was the overall management of the department's 250+ meetings annually. Runyan graduated from the University of Tulsa with a BS in finance and later received a BS in hotel administration from the University of Nevada at Las Vegas (UNLV). Runyan also holds a master's in hospitality administration from UNLV. She is a certified meeting professional and a member of the Professional Convention Management Association. Michelle Tan is the director of events for SPE in Asia Pacific, and she leads the events team based in Kuala Lumpur. Tan joined SPE in 2014 and oversees delivery of the region’s conferences and exhibitions, workshops, and forums. She has 15 years of experience in the global events industry, first joining the Institute for International Research, now an Informa business, in Australia and then moved within the Informa group to New York as managing director of its finance and investment division, responsible for the portfolio of alternative and institutional investments, and wealth management events. Tan’s experience also includes roles in general management and project and program development with IIR Middle East in Dubai, AsianInvestor in Hong Kong, and United Business Media in ASEAN. Tan is experienced in brand extensions with the expansion of events and has worked with various stakeholders through international and local joint-venture projects in North America, Europe, MENA and Asia. She holds a BA in psychology and sociology from the University of Melbourne, Australia, and her special interests include social entrepreneurship, women and finance, and education. Michelle Boyd joined SPE in 2011 and leads the event team based in Dubai. Key events for SPE in the Middle East include the 2016 Annual Technical Conference and Exhibition in Dubai, the International Petroleum Technology Conference and Exhibition, Abu Dhabi International Petroleum Exhibition and Conference, the Middle East Oil Show, the Kuwait Oil and Gas Show, and Oil and Gas West Asia. Before SPE, Boyd was head of conferences for Reed Exhibitions in Abu Dhabi and executive director of conferences and training for the Institute of International Research, now the Informa Group. Boyd began her career in Australia in corporate communications and has run corporate events and communication projects for clients including Pfizer, Optus, Qantas and TNT in Australia, Asia, Europe and North America. She holds a BA degree from the University of New England and a MA degree in communication management from the University of Technology, Sydney. Solange Ferreira is the director for the SPE activities in Latin America and Caribbean business development. She serves as a strategic liaison and works in close collaboration with all areas to assure the successful execution of SPE programs and initiatives in this geographic region. Ferreira began working at SPE in 1999, having previously worked in the financial and education divisions of the Brazilian and Canadian governments, and in the logistics and operations of classical music events in Europe and Brazil. She holds a BA in social communications with a specialization in public relations from Pontifical Catholic University of Campinas, Brazil and MA in international management studies from The University of Texas at Dallas. Ferreira also received a degree in convention and meeting management from George Brown College of Applied Arts and Technology, Toronto, Canada. Ferreira fluently speaks English, Spanish, and Portuguese. Phil Chandler is responsible for the management and profitability of all the events for the Europe and Caspian regions. Phil joined SPE in 2014 from dmg events (UK) Ltd (subsidiary of the Daily Mail Group) where he was vice president, global business development and operations, for the London portfolio of gas events. He held this position from 2007. His career spans 30 years developing international conferences and exhibitions in such diverse countries as Mexico, China, Brazil, Europe, Egypt, India, Singapore, Azerbaijan and Kazakhstan. Phil has worked for many of the UK’s top media organizations including Reed, emap and the Daily Mail group. Phil graduated from the University of Bradford with an honors bachelor’s degree in civil and structural engineering. He began his career working in southern Africa in 1984. Judy Johnston provides counsel to all of SPE’s legal entities. She is also SPE's compliance officer. Before joining SPE in 2013, Johnston served in senior counsel positions for JCPenney, from 1989 through 2001, as well as senior counsel positions for Aegon Direct Marketing (Transamerica), Countrywide Financial, and SuperMedia. Johnston is recognized for her knowledge of corporate, contract, international, intellectual property, and privacy laws. Johnston holds a BS degree in biology-chemistry from Oklahoma Christian University and a JD degree from Southern Methodist University School of Law. She is currently a member of the Texas and Oklahoma Bar Associations as well as the International Association of Privacy Professionals. Nils Kaageson-Loe is responsible for investigating, recommending and developing new initiatives and enhancements to expand SPE programs including meetings, publications, training and other lines of business. Before joining SPE in 2018, he served in several technical and business leadership roles for Halliburton. He has also held technical and R&D leadership positions for BP, MI-SWACO and Norsk Hydro. Kaageson-Loe holds a PhD in geological/geophysical engineering from Imperial College London and a bachelor's in exploration geophysics from University College London. Rebekah Stacha is responsible for the strategic planning, development and maintenance of SPE’s scholarly journals, books, the digital paper library OnePetro.org and the industry-focused online encyclopedia PetroWiki. Stacha joined SPE in 1998 as the professional development coordinator. She has held a variety of positions in both membership and technical publications over the last 20 years. Stacha received her BBA in management from Texas A&M University in 1998. She is a Certified Association Executive (CAE) and is active in the Council of Engineering and Scientific Society Executives (CESSE).